Are you on the look out for fabulous bedroom ideas? Then you’ve come to the right place. Did you know that we spend around one third of our lives in bed? It’s therefore all the more crucial that our bedroom should be as beautiful – and practical – as possible. 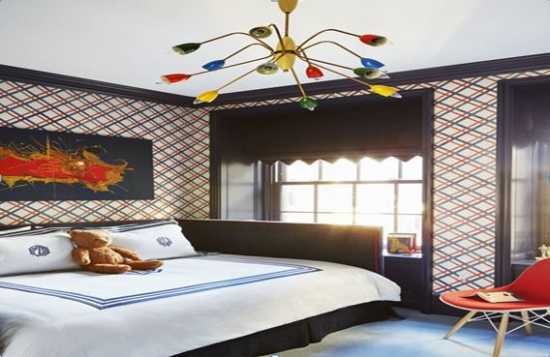 Here, in our article you’ll find something to emulate in the gorgeous examples of colorful bedrooms below. Mix together an Old-World-inspired traditional vibe, a contemporary sensibility, and a dose of masculine flavor, and you end up with this stunning bedroom. It’s proof that when done right, dark walls, lots of wood, and a neutral palette are anything but gloomy or dull. A white bedroom is all about simplicity and ease. Bring in natural materials and soft textures to keep the space from feeling stark or sterile, and avoid clutter, which can take away from the relaxing vibe. This soft, pretty hue is ideal for bedrooms, where it can help create a calming and romantic environment. Mixing in global patterns and casual fabrics, such as relaxed linens or even burlap, can keep the space from feeling too feminine. If you’re wondering how to decorate a kid-friendly bedroom that will age well with your child, here’s your blueprint. Even a sophisticated city apartment can afford to go wild with color in a kid’s space. The trick is to opt for classic investment pieces and timeless prints that can be dressed up or down in a variety of ways. This bright, cheery room strikes the perfect balance between kid-proof and adult-friendly, making it great for those transitional teenage years. As we mentioned, it’s always a good idea to invest in more timeless furniture, while letting personality shine through in accent pieces and décor. 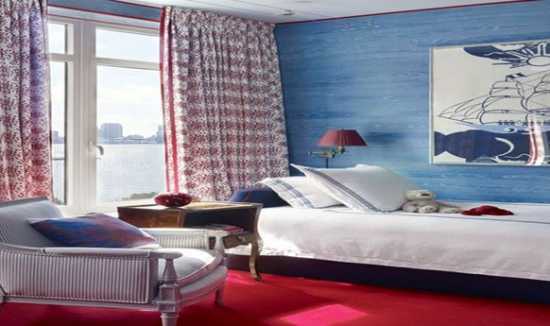 The existing red carpet was paired with hand-painted blue walls, which really elevate the room. Blue literally never goes out of style. A textured, rattan bed helps add a fun, boho edge to the traditional color. Channeling the sea and the sky, blue is known for its calming effects. The timeless combo of blue and white looks classic, whether you go for fabric or wallpaper in a nautical stripe or a lush floral motif. The sunny and happy shade is an instant pick-me-up at the end of a long day (or those mornings when you just don’t want to get out of bed.) Bring in other hues from nature, such as a grassy green ceramic lamp or cherry-red bedside table. No one would have guessed this room used to be a sad little attic. 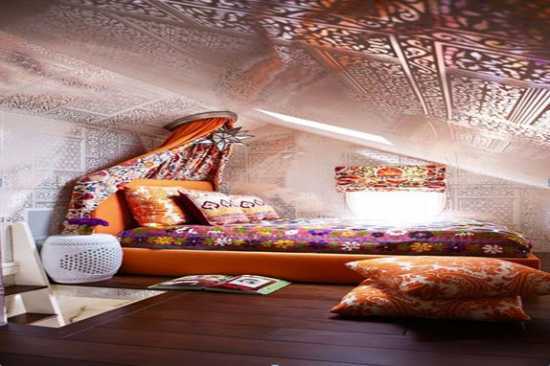 With a dressing room below and a spot for sleeping up top, this two-level bedroom is a boho dream come true. With colorful lighting and plenty of print play, it’s basically like living inside of a kaleidoscope. This master bedroom has a very retro feel to it thanks to the pink, tangerine, and lavender color palette, paisley linen, and zigzag pattern on the floor. Though subtle, you’ll notice that these walls are actually really innovative when you take a closer look. 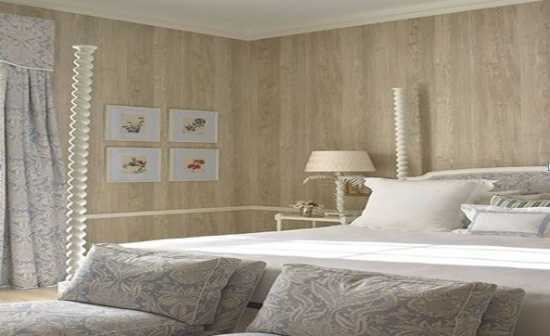 If you prefer texture-rich neutrals, consider covering your walls in wood panelling instead of simply painting them. Opt for the same finish as your floors so they transition effortlessly and achieve consistency.